The main conference room is off limits. The doors are closed and everyone in the room is deeply entrenched in their work. It’s not a high-level meeting, but what’s happening is what separates one of the top digital marketing agencies in the country from all the others. Inside that room is a group of experts from Kuno Creative. Technologists, designers, writers and consultants joining forces to ensure one of our clients has a successful website launch. Our team spent the day monitoring each page as the site went live; reacting to any potential issues and making sure it was everything the client hoped. It’s what you get when you partner with Kuno Creative—a strong addition to your team. But that’s only part of what makes working with Kuno so special. 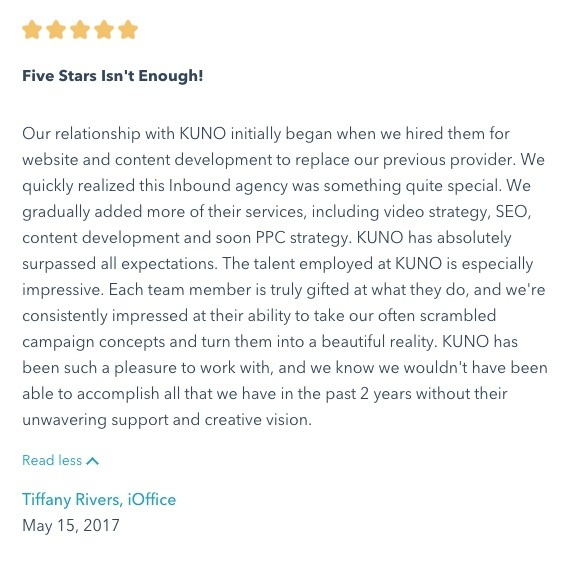 Kuno means “honest advisor.” It’s the best way to describe how we work with our clients, but it goes even further than that. So, let’s take a look at some of the things that set us apart from the competition. If you’re partnering with one of the top digital marketing agencies, you’d expect your new teammates to be experts in the field. At Kuno Creative, our value lies in our people. Our team of all-star marketing experts were top performers in the field before coming to Kuno. 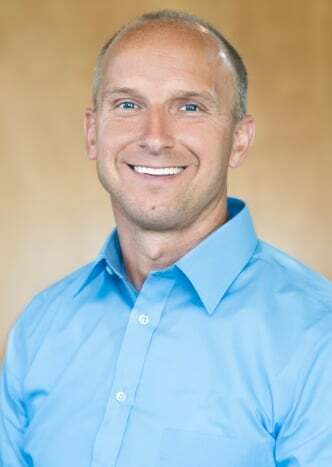 They are all passionate and knowledgeable in their own rights with experience at companies including: American Greetings, Cleveland Clinic, Invacare, OverDrive, Moen, Progressive and many more. But there is power in numbers. Our creativity and digital marketing capabilities are strengthened when we come together. Collectively, we help our clients achieve the goals they’re trying to reach and produce results. When you work with Kuno Creative, you’re not working with one facet of the company—everyone gets involved. We are proud to say we are a HubSpot Diamond Partner. HubSpot’s Partner Tier program is designed to acknowledge Agency Partners that execute inbound marketing services to the highest standards. As our agency grows, attracts customers and delivers successful results for our clients, our partner status gets an upgrade. The tiers range from Silver to Diamond. Having Diamond status gives us the inside scoop on certain HubSpot features and allows us to try them ahead of time so we can recommend the best solutions to our clients. That means your marketing strategy is directly influenced by the experts at HubSpot and one of the top digital marketing agencies. On top of that, Kuno is also an SEMrush Partner Agency. SEMrush helps us help you increase your revenue and achieve your online visibility goals with tools for SEO, advertising and content development. It's a tool to make sure you have a solid SEO strategy that will improve your chances of standing out in search results and increasing your website traffic. Our clients reap the benefits of the partnerships we build. We use our relationships with these companies to your advantage. When you partner with us, you can take comfort in knowing you’re also joining forces with some of the biggest names in digital marketing. We’re a three-time winner of HubSpot’s Happiest Clients award. We’re also proud of being named HubSpot Agency of the Year. Those are just a few kind words from our digital marketing successes. We’re proud of our work, but extremely happy we can generate the results our clients are looking for. A top digital marketing agency doesn’t have to replace your team; it can enhance it. Combine what you do best with what your agency does best. You’ll find it will help you focus on your core operations and eliminate any worries you have about your marketing strategy. 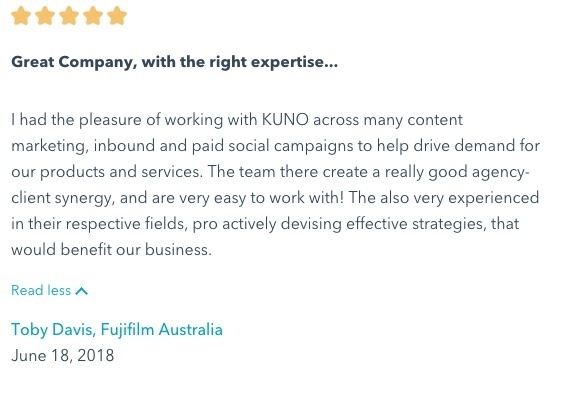 So, if you’re looking to partner with one of the top digital marketing agencies that will understand the value of your time and budget, consider Kuno Creative. We can be your honest advisor.